This entry was posted on July 12, 2017, 5:28 am and is filed under Undercover Soundtrack. You can follow any responses to this entry through RSS 2.0. You can leave a response, or trackback from your own site. Andrew, wow, mind blown. STOP. I really enjoyed this column. What a fresh musical palette. I can see all these pieces lining up for your inverse Bali Hai masterpiece. I have to call out the best underground soundtrack – Leodoris Run – engaging music, haunting dance, and how you write about it is unexpected and works. The Beast, yep, a gem like the Tunnel. The whole Sicario album works. The Arrival album is an equally ominous toned theme of presences by Johannsson. The audio space works with Ryuichi Sakamoto’s score for The Revenant – an encounter in snow rather than an island of sand. Thanks too for the Mark Pritchard’s minimalism. I see what you have going there with a nutritious audio diet. Laughed at your close of running a one-hour nothing-happening Pacific seashore video. In writing stories of less famous distant places, I post photos from Google Earth as wallpaper to get a sense of light and vegetation. Good luck with Savages, mrb. Hi, Mark. Thanks for taking the time to reply. Yeah. The Badawi track is amazing. Very Hurt Locker. 🙂 My full Savages soundtrack is rammed with those ominous soundscapes – and the Kristofferson palate-cleanser. I do need music to construct the DNA of any writing project. It must be my film background: the novel is a sort of adaptation of the imaginary film in my head. 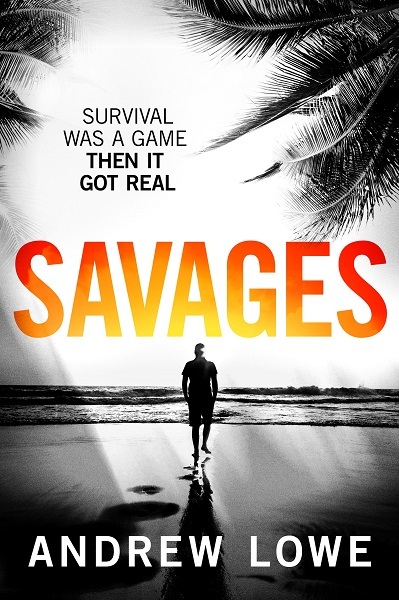 It would scramble my brain if someone actually did adapt Savages into a film. Love the Sicario soundtrack. Underrated film, too. Thanks again for your comment. Best of luck with your own writing. Wish I’d read this post before reading the book! I’d have lined up a playlist on Spotify and played as I read! But even without the soundtrack I loved it. Now back to Spotify to make the playlist anyway as these are great choices! Thanks, Ian! I forgot to mention Mica Levi’s score for ‘Under The Skin’ (one of my favourite films of the last ten years). That’s perfect for the dark stuff. Good to see all this musical chat going on. Thanks, guys! Hi Andrew – Again, enjoyed your column, and thanks for the Mica Levi score ! I didn’t even realize “Under The Skin,” had a soundscore it was so infused with the evocative story. Brilliant. Thanks again.